FOOTBALL: West Ham has slipped in to the bottom three of the English Premier League following a fourth straight defeat. Slaven Bilic's team went down 3-0 at home to Southampton and dropped to third from bottom on three points from six games. 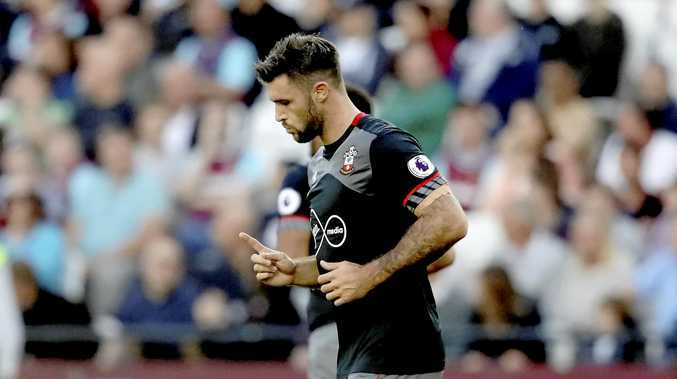 In-form Saints striker Charlie Austin scored his fifth goal in four appearances as Southampton made it four wins in a row in all competitions and are up to eighth. The Hammers have now lost five of their opening six games in a top-flight season for the first time in their history and have conceded 16 goals. Austin broke the deadlock before Dusan Tadic scored a second. James Ward-Prowse's low finish consigned West Ham, who had just one shot on target, to defeat. Saints boss Claude Puel was delighted to have secured another victory. "It was very important to win this game," he said. "Against a team without confidence it was important to press. "We had a bad first half because we didn't keep the ball. "I find a very good second half for my players with many chances and beautiful goals, which is important for confidence. "For the future this was very good, to see the improvement from the first half to the second." West Ham has now conceded two or more goals in 13 of the past 16 league matches, dating back to March last year.